The US Food and Drug Administration made clear on Thursday, October 11, that it has a major bone to pick with an electronic-cigarette vendor that illegally pumped prescription erectile dysfunction drugs into unapproved e-liquid products intended for vaping. The cocky company, HelloCig Electronic Technology Co. Ltd, even advertised the vape liquids with labels and images using drug brand names. For instance, it sold one of the vaping liquids as “E-Cialis HelloCig E-Liquid” alongside an image of a bottle and tablets of Eli Lilly’s erectile dysfunction drug Cialis. It also sold a product with the brand of an anti-obesity drug that had been pulled from the market in Europe for causing psychiatric disorders. The e-liquid really contained the erectile dysfunction drug in Viagra, the FDA found. The throbbing mad agency issued a stiff warning and firmly threatened “civil money penalties, criminal prosecution, seizure, and/or injunction” if HelloCig didn’t pull its products out of the market immediately. The company has 15 days to respond. The FDA’s warning is part of an ongoing effort to deflate misleading and illegal claims on vaping products. The agency’s main goal is to block products that specifically entice youth to try addictive nicotine-containing products. Last month, Gottlieb declared that e-cigarette use among teenagers has “reached nothing short of an epidemic proportion of growth.” “I use the word epidemic with great care,” he wrote in a statement at the time. “E-cigs have become an almost ubiquitous–and dangerous–trend among teens. The disturbing and accelerating trajectory of use we’re seeing in youth, and the resulting path to addiction, must end. It’s simply not tolerable. I’ll be clear. The FDA won’t tolerate a whole generation of young people becoming addicted to nicotine as a tradeoff for enabling adults to have unfettered access to these same products.” As such, the agency has banged away at e-cigarette companies and any questionable tactics. 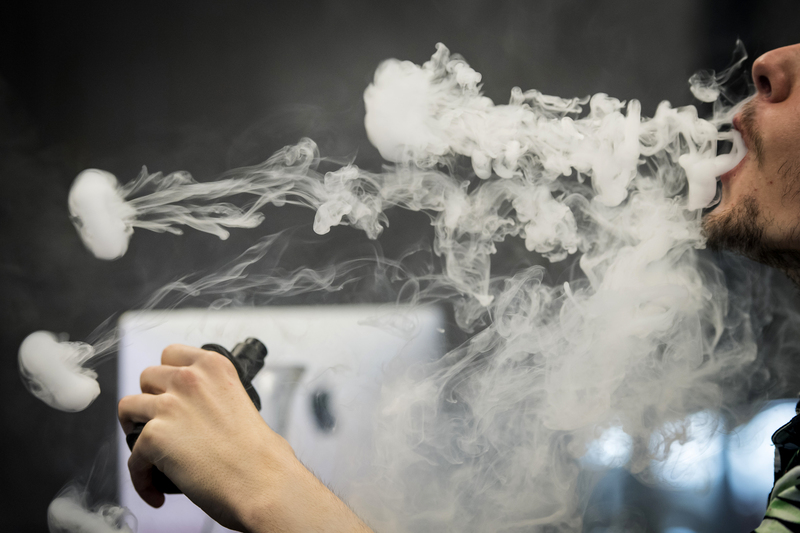 Most notably, the agency seized more than a thousand sales and marketing documents from popular e-cig maker Juul Labs during an unscheduled inspection a few weeks ago. Juul e-cigarettes resemble USB drive devices and have been wildly popular–particularly with teens. They currently make up the lion’s share of the e-cig market. The FDA’s primary concern is advertising and e-liquid flavorings, such as candy and fruit flavors, intended at hooking youngsters. With that focus, FDA conducted lab analysis on HelloCig’s e-liquids, finding products that contained tadalafil (Cialis) and/or sildenafil (Viagra). The FDA also scrutinized the company’s product called “E-Rimonabant HelloCig E-Liquid,” which was marketed alongside an image of a bottle and tablets of Acomplia, an anti-obesity drug developed by Sanofi-Aventis. Acomplia was never approved by the FDA, but had been previously approved in Europe in 2006. It was withdrawn from the market in 2008, however, after it was found to significantly increase the risk of psychiatric disorders. HelloCig’s e-liquid did not contain rimonabant (Acomplia), but it did contain undeclared sildenafil, the FDA found. Hey, Samusung and Google. What's with the 'accidental' leaks?